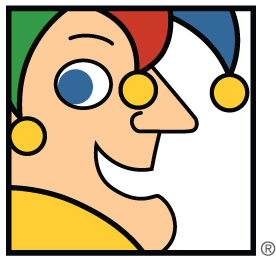 What Is Motley Fool ONE? Motley Fool ONE is the only way to play along with Tom Gardner's real-money portfolio, and that's just the beginning of the benefits of membership. Motley Fool ONE is an exclusive newsletter service, often described as the "crown jewel" offering in The Motley Fool's arsenal of products aimed at wealth generation. Motley Fool ONE is the only service where members can invest alongside Motley Fool Co-founder and CEO Tom Gardner's personal investment portfolio, but that's just one path to success that's available to members. There are many ways to cash in on two dozen years of market-thumping investment experience, and Motley Fool ONE is the master key that unlocks all of the doors. Tom Gardner (right) founded The Motley Fool with his brother David Gardner (left). Image source: The Motley Fool. The Everlasting Portfolio is a key component of every Motley Fool ONE subscription. Tom Gardner singles out stocks that he feels will beat the market, committing to hold each investment for at least five years. These aren't just recommendations. Tom follows up on the picks by joining members in buying them himself. The Everlasting Portfolio is the only real-money portfolio that invests alongside Tom's personal portfolio, and only Motley Fool ONE subscribers have access to the stocks that Tom is buying month after month. The Everlasting Portfolio is more than just a real-money portfolio service. Motley Fool ONE members have options, literally, in carrying out market-besting objectives. For some of Tom's picks, the Motley Fool Options team provide options recommendations designed to help members get more out of each recommendation. There are, of course, no obligations to follow through with the suggested option strategies. Investors that are uncomfortable with options or prefer a more conventional equity ownership experience can ride out the opportunity just the way that Tom himself is doing so by owning the stocks in the Everlasting Portfolio. However, just as a Chipotle assembly line offers many tempting toppings to garnish your sustenance, everyone at Motley Fool ONE gets to eat the fiscal burrito that they crave. There is more to the invitation-only Motley Fool ONE membership experience than custom-tailored ways to play along with The Motley Fool CEO's real money. There is a growing vault of exclusive content, full of one-on-one interviews with legendary investors and well-respected corporate leaders. There's a steady flow of original articles detailing the mindset that we believe will make you a better investor in up and down market climates. There are also master courses available on streaming video, helping you evolve into a better investor even when your eyes are too tired to read. The exclusive content is incremental, so the catalog of available brain candy just keeps expanding. The perks don't end there. Remember that master key I was alluding to earlier? Motley Fool ONE unlocks all of the other newsletter services at no additional cost. This is the all-access pass that can fill you head -- and portfolio -- with as many investing ideas as you covet. Having more than 400 in-depth recommendations across all of the Fool premium offerings at your beckon call is special. The Motley Fool has proved its market savvy over nearly 24 years, with public stock picks that have combined to beat the market more often than not. The initial online success in nabbing some of the market's generational growth stocks has been successfully ported over to its healthy assortment of newsletter services. Motley Fool ONE is the pinnacle of Motley Fool premium research. It's not the burrito toppings bar. It's the whole restaurant. Align your portfolio with the same fate as Tom Gardner's own investments. Dig into proprietary content. Take advantage of the all-access pass that opens up the books on any active stock recommendation and service. Click here to learn more about Motley Fool ONE, and start making the money-making decisions that will put you on path to sustainable wealth.